This 10 – night holiday offers you the very best of our Discovery & Magical programmes, staying in comfortable family hotels and walking through an amazing variety of landscapes. On this holiday you have the unique ooportunity to explore the north, east, south and centre of the island – what could be better? 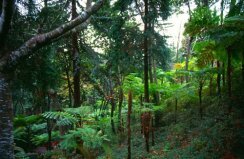 Day 1 – Arrival at Funchal airport and transfer to your hotel in Santana. Day 2 – Transfer to the start of the walk. Today you follow the Levada do Caldeirão Verde (Green Cauldron) the sides of the Levada are wooded with heath trees and laurels creating wonderful plays of light and shade, 18km. Overnight in Santana. Day 3 – Minibus transfer to the start of the walk. A varied walk between rocky outcrops along the Levada do Furado, before dropping down onto lush pasture, along the walk there are breathtaking views down to the north coast – return by local bus or taxi to your hotel at Porto da Cruz, 14km. Overnight in Porto da Cruz. Day 4 – Transfer to the start of the walk today along the Levada Castelejo that will take you from a countryside dotted with small fields into the wilderness of the Ribeiro Frio gorge before walking down hill back to Porto da Cruz, 14km. Overnight Porta da Cruz. Day 5 – Transfer to the start of the walk at Marocas where you find the Levada do Canical, you walk through tiny villages and fields and have great views to the sea before descending to the town of Machico, 14km. Overnight Machico. Day 6 – You take the local bus to and from the walk along the Sao Lourenco peninsula, famous for its scenery and multicoloured cliffs. Distances maybe short but you can easily spend all day here, 8km. Overnight Machico. Day 7 – Minibus transfer to the start of the walk. Time to head for the south west of the island and today you can stroll along the Levada Calheta – Ponta do Pargo as it contours the sun-drenched plains above the coast. Gorgeous all year round and in summer it is swathed in hydrangeas and agapanthus, 15km. Transfer after the walk to your hotel close to Ponta da Sol. 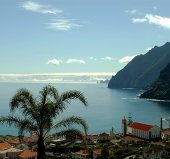 Day 10 – We offer you the chance to explore Funchal but if you prefer to walk then today it is the Socorridos valley and its spectacular gorge, 8.5km The start and return are by local town bus. Overnight Funchal. Day 11. Transfer back to the airport at Funchal.